If you are looking to get started with LOTRO's music system, Elaini has your tutorial! Click here for this classic useful guide. 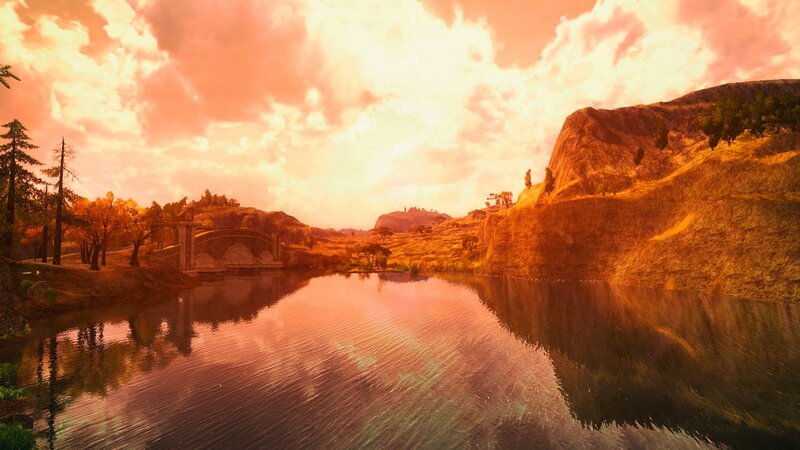 Stefalla recently interviewed Cordovan about Mordor, PvMP, and more. Click here for the chat! Zonflux has joined LOTROstream! The author of the "Guardian Diaries" and frequent YouTube/Twitch streamer will stream on Saturday afternoons here. Margerite has published the newest Auenländer Wochenblatt! Click here to read this German-language newsletter. The Harnkegger Games VI approaches! Click here for more information about this upcoming event from Laurelin, which will also be streamed on LOTROstream! The Cottage of Pen and Play has created a Homeric retelling of The Fall of Noldor! Click here to read it. LL VG shows off Agarnaith in music and video! Click here for the preview. The Blue Mountain Regiment presents Dwarves Night Out on September 4th! Click here for more information about their concert on Laurelin. Mondbarden bring their every-other-week concert to Belegaer next Thursday! Click here for event details. Merchants of Bree are a recently-founded kinship on Laurelin who are looking for players of all races and levels! Click here to check out their web site! What is your favorite weapon look in LOTRO? LOTRO Players News finds a rusty knife! Click here for Episode 217! Ravalation delves into the new avatar update, with pics! Click here to read more. The Bearded Minstrel has created a Guardian Guide! Click here for tips. Syp gets a goat! Click here to read about it. Timhedden writes further Family Line fiction! Click here for the latest. Steep has put together a video explaining how to combine your bags. Click here for the how-to! Andang questions suspicious dwarves! Click here for a new video. Gameoliodan faces a Critical Strike in a new video! Click here to watch it. Oculos Nerd heads to the Farmer's Faire. Click here to check it out! TheDarkMarauder streams LOTRO! Click here for his recent video. Coiley's Adventures continue! Click here for episode 111. Renaissance Gaming goes fishing! Click here to see the results. The Farmer's Faire continues through September 7th! Click here for our guide to the event. Cordovan checks out the Farmer's Faire and answers your questions! Click here for the latest +Cord of the Rings. LOTROstream continues to grow! Click here for our newest schedule. The Alura Gaming kinship recently held a screenshot contest, and the winners have been announced! Click here to see them. Hobnanigans returns! The event runs through September 3rd. Double Bonus Points are back! Now through September 11th! The Weekly Coupon gets you a free 100% Infamy/Renown Gain x1 with the Coupon Code MORGLORYMORPROB, now through September 7th!